Thank you for your interest in diversity, equity and inclusion at Wiley Rein LLP. Along with the firm's Executive and Management committees, the Diversity, Equity and Inclusion Committee continues to enhance the firm’s diversity efforts in recruiting and advancing minority and women attorneys through mentoring, outreach, affinity groups, and a robust firm-wide professional development program. 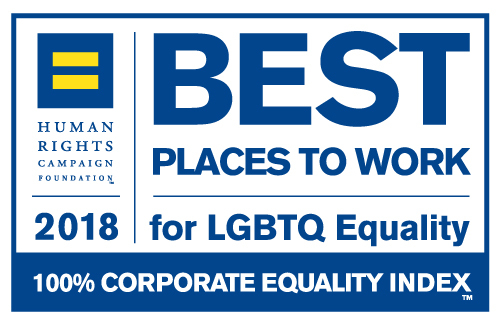 As a result of our efforts, we are proud to have achieved a perfect score of 100% on the 2018 Corporate Equality Index (CEI), a national benchmarking survey and report on corporate policies and practices related to LGBTQ workplace equality, administered by the Human Rights Campaign Foundation; it’s the third consecutive year we have been named to the list. 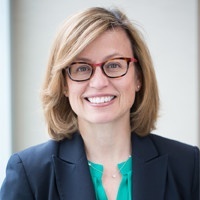 In 2018, we were also named one of the "Best Law Firms for Women" by Working Mother -- one of only eight law firms based in Washington, DC to make the publication's annual list. In addition, we were named to Law360's 2018 list of "Best Firms for Minority Attorneys," one of only four major law firms in the Washington area to make the list of 74 firms recognized nationally, and the only premier DC firm named in the size category of 150-299 attorneys. We were also named to Law360’s 2016 list of “The 100 Best Law Firms for Female Attorneys,” one of only six major law firms in the Washington, DC area to earn this recognition. On this page, you will find information on Wiley Rein's efforts in diversity, equity and inclusion, which further outlines our commitment. We understand how important individual cultures and identities are to the overall success of our firm. Wiley Rein is committed to creating an inclusive environment where all attorneys, professional staff, and clients feel welcome. If you have any questions or would like additional information on diversity, equity and inclusion at Wiley Rein, please feel free to contact me or either of the committee’s co-chairs, Neal Seth and Brian Walsh. Wiley Rein is committed to fostering an inclusive environment that reflects the rich cultural and ethnic diversity of our client base. Please click here to learn more about the firm's diversity, equity and inclusion initiatives. Diversity Statement: Please click here to read the firm’s Diversity Statement.